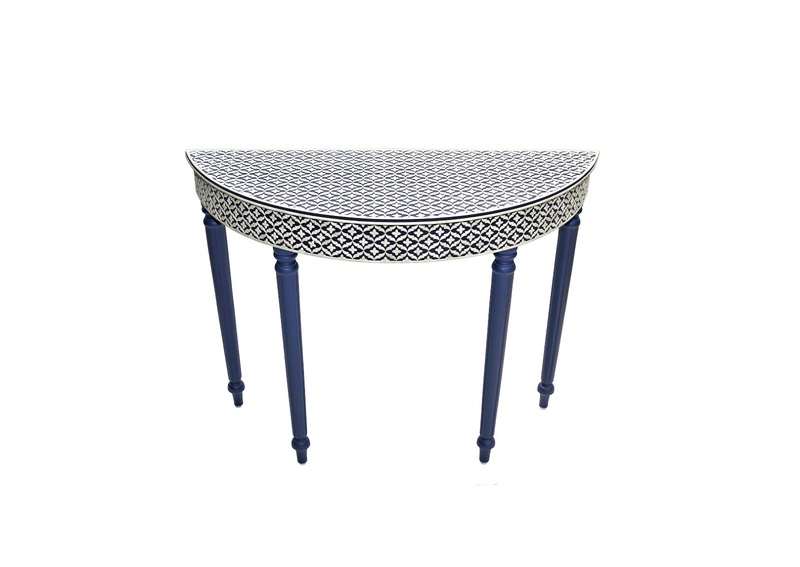 Description: Create a highly stylish focal point with this console. This ornate console lends personality to every interior courtesy of a centuries-old bone inlay technique. Integrate its opulent design into your own space. 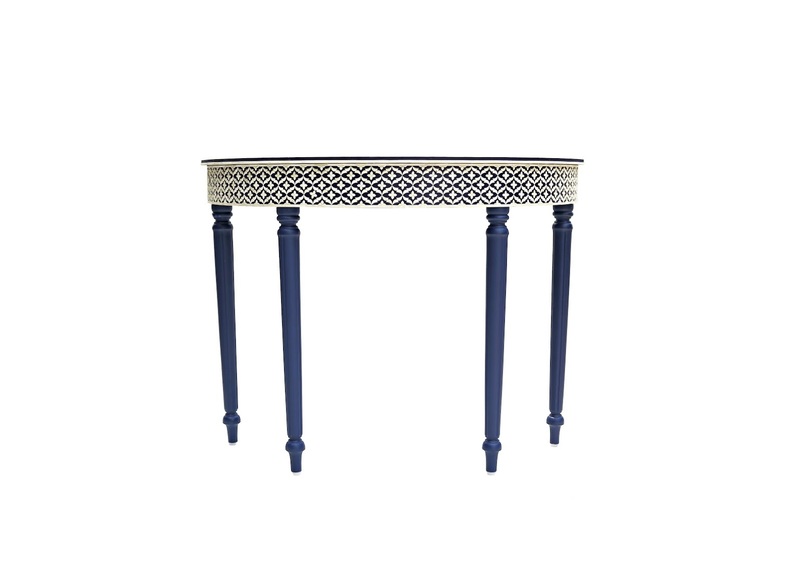 A combination of sophisticated artisry and craftsmenship, this captivating console features an overall intricate pattern created from white bone inlay.